I´m very happy because this is one post that I worked a lot ot, because I´m very busy with the Hospital + College so I need make the things step by step, I love it make the reviews to my way and for that reason I´m very happy for write this post for you. The video review finished upload to youtube today (=ﾟωﾟ)ﾉ♡ This product so pretty is the ETUDE HOUSE Dear My Wish Lips Talk PK001 When I saw this new serie of lipsticks of Etude House I said I need one pink liptick of that serie. 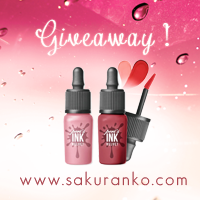 ♤ Packaging: I don´t have to much to say about the packaging because is lovely, pretty and pink (≧∇≦) For me is a kawaii packaging and I love it! The packaging has five stars because is not only pretty is functional so I like that. \( ´ω` )/ You can use this or decorate your vanity table too. This is the name of this color "PK001"
I love it the both ways because for me this is my perfect pink! Video Review + Makeup Tutorial! - The price is affordable. - The packaging is lovely. - Provides a cute and pigmented color. - Leave a tint effect after some hours. 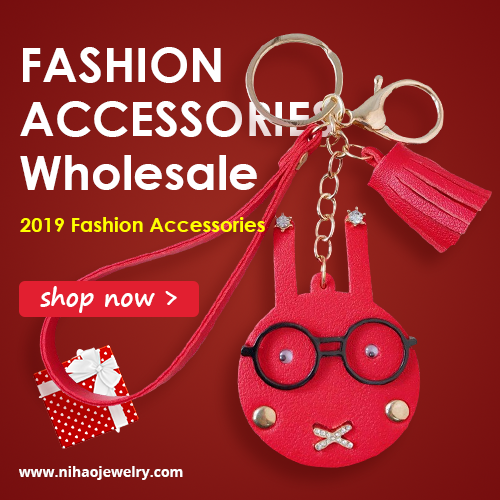 - You can buy only online this product on many countries (inluding me). 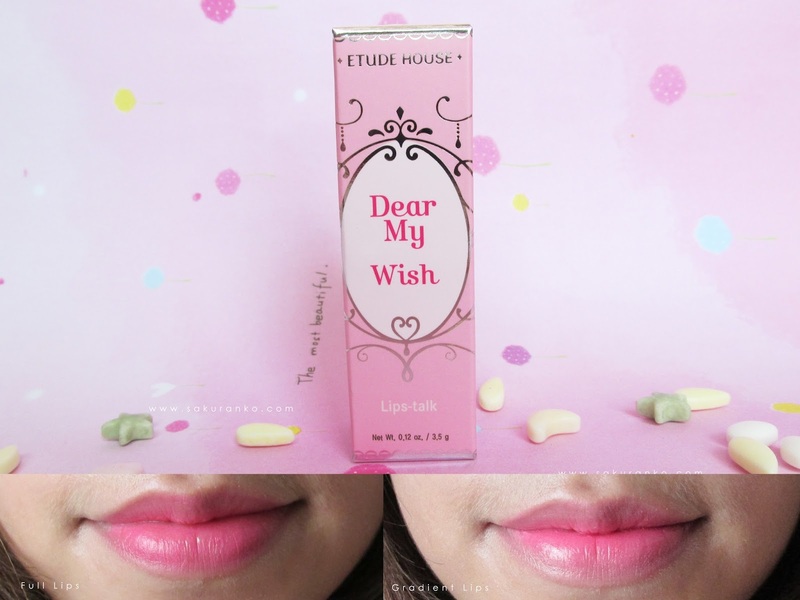 ETUDE HOUSE Dear My Wish Lips Talk (｀・∀・´)！ Full Lips! （＾ν＾）♡ My last selfie~ I love it gradient lips! (^o^)❤︎ I hope you enjoyed this review! I love it this product! (‐^▽^‐) Probably I should be finishing my homework for psychology class but I feel better writing this review. Sometimes we say we will do many things and end up doing nothing, so I feel right now because I had two days off and all I did was rest. But sometimes we need rest the life is not only work. Today I´m here with this product the LIOELE Dollish Cera-V CC Cream this was a very nice surprise because I was very disappointed with the previous products from the brand because were to much oily for skin type. This product was sponsored by the store Cosmetic-Love but all the opinions are based on my own experience with the product and are 100% honest. ♔ Packaging: Absolutely pretty like the most of products of Lioele. The box is intense pink with pearl white very lovely. And the bottle hast this cute metallic color with a pump and this lovely transparent pink top. This is easy to carry because is not much big. ♔ Price: This is $16.53 USD at Cosmetic-Love with Free shipping for me this is a very nice price because this contains a good amoun of product. ♔ Texture + Aroma: The aroma is soft and very floral but the scent is not very strong is very subtle and I liked that. The texture is creamy but very lightweight and that is very nice because you can add two coats of product and doesn´t look cakey. - It has a lovely packaging. - Coverage Light / Medium. - Provides a good control of sebum. Happy Valentine´s Day for all my sweet readers~ ♡( ´ ▽ ` )ﾉ Today I´m here with a new lovely review. 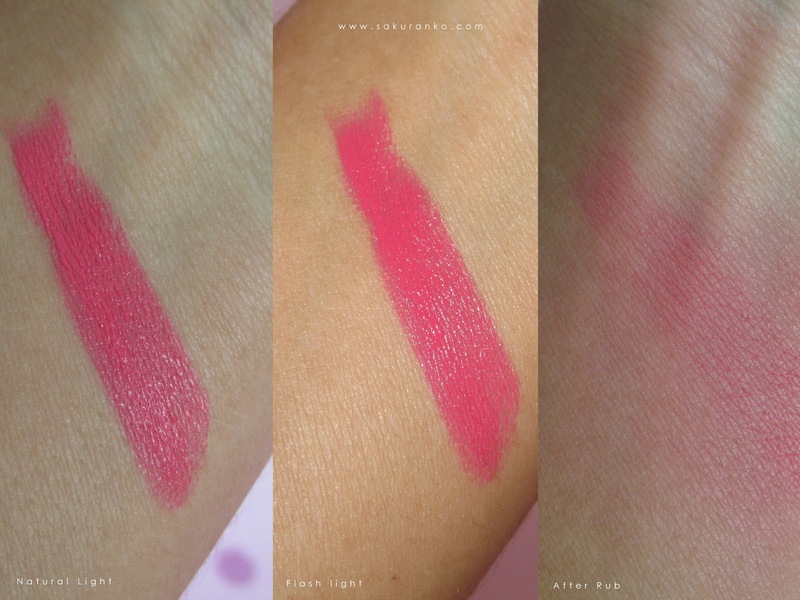 I love it this review because I love it the product is very cute and makes a gorgeous effect. 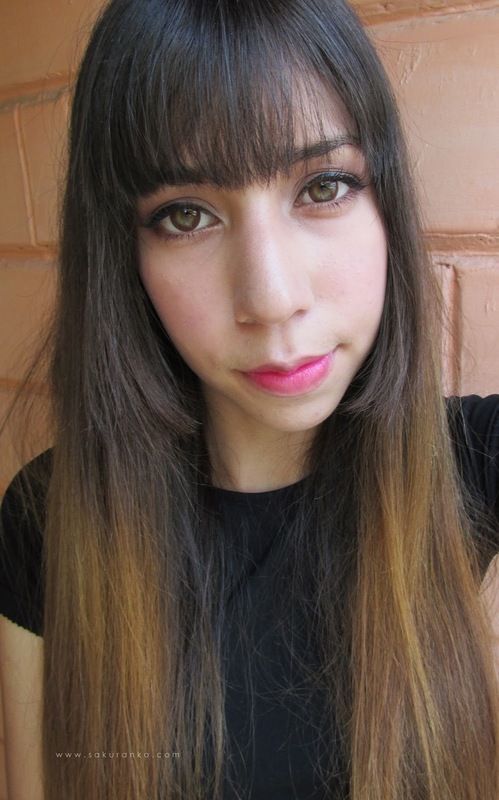 I have a weird love with the brown circle lenses because like I have light green/gray eyes is complicated normally doesn´t look natural but this provides a cute and natural effect and I love it. 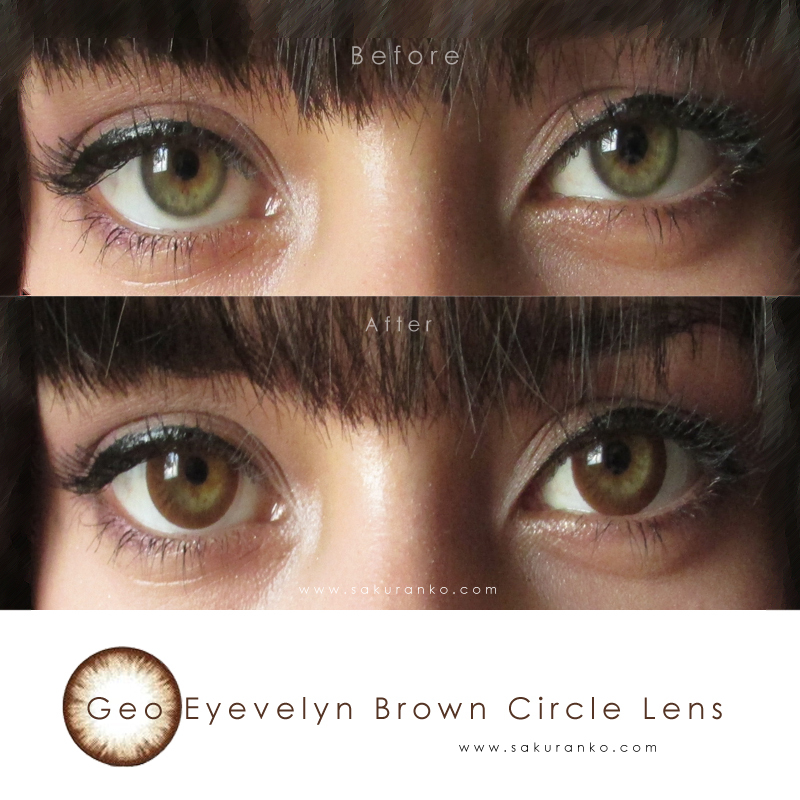 This circle lens are the Geo Eyevelyn Brown from the webstore Lensvillage. Remember that all the opinions are based on my own experience with the product and is 100% honest. Eyevelyn is the world's first biocompatible silicone hydrogel circle contact lens that is approved by the US FDA. Unlike regular cosmetic lenses made from 2-HEMA, Eyevelyn's silicone hydrogel material offers enhanced oxygen permeability, moisture retention, durability and resistance to protein and bacterial adhesion. H2O Natural Wettability: silicone hydrogel retains twice as much moisture as hyaluronic acid, protecting your eyes from dryness and irritation. O2 Breathability: silicone hydrogel lenses are thinner and are more densely packed with microscopic pores, allowing your eyes to breathe. Clinically Tested Resistance to Protein and Bacterial Adhesion: as published in J Chem Edu and Biomaterials, MPC/PC coated silicone surfaces are smoother with less ridges, conferring resistance to accumulation of proteins and microbes. UV Protection: Eyevelyn contact lenses have a special coating to block UV rays from contacting your delicate eyes. ❁ Design/Pattern + Color: The pattern is very natural are just two shades, light brown and medium brown the edge is very defined but blended so provides a natural and dolly effect. I love it the design because the mix of two shades makes that the color blends on my natural eye color. ❁ Comfort: This are the most confortable circle lens that I used. Seriously I feel my eyes naked because I can notice the difference with them or without circle lenses. ❁ Enlargement: For me a medium natural enlargement, but for the diameter is very good on my opinion.  ❁ Overall: I love it because are so comfortable and the design makes a dolly natural effect very pretty. Maybe on eyes with brown or dark/brown color the effect dolly is less and looks more natural and a more solid effect. This are the first circle lens that I used that provides a natural effect but the same time a dolly effect (but remember the dolly effect is to cause to the more dark edge on my light eyes). Apparently the comfy is because the material of this circle lens retains more moisture and water and because the lens is mo thinner that the usual circle lens. I recommend this circle lens because are very pretty and 100% comfortable. 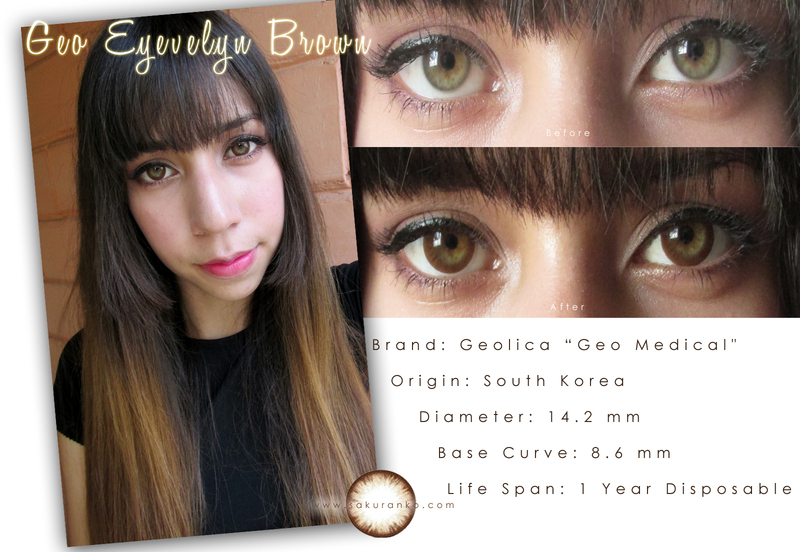 (*σωσ)♡Geo Eyevelyn Brown Circle Lens Close-up! My best wishes for you~ Happy Holidays~ or and any case Happy weekend!